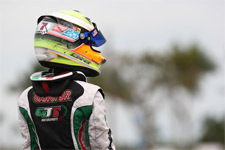 Entering the premier Rotax event in the country as one of the favorites for the Rotax Junior MAX title, Anthony Gangi Jr. walked away from the 2015 Cold Stone United States Rotax MAX Challenge Grand Nationals (RMCGF) with the first place trophy in hand, and his ticket to the 2015 Rotax MAX Challenge Grand Finals. 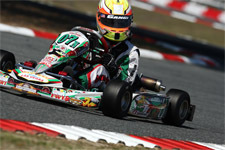 Having claimed the Micro MAX title in 2010, the Mini MAX title in 2012 and now the Junior title, Gangi Jr. has become the FIRST to win a Rotax Grand National title in these three categories. 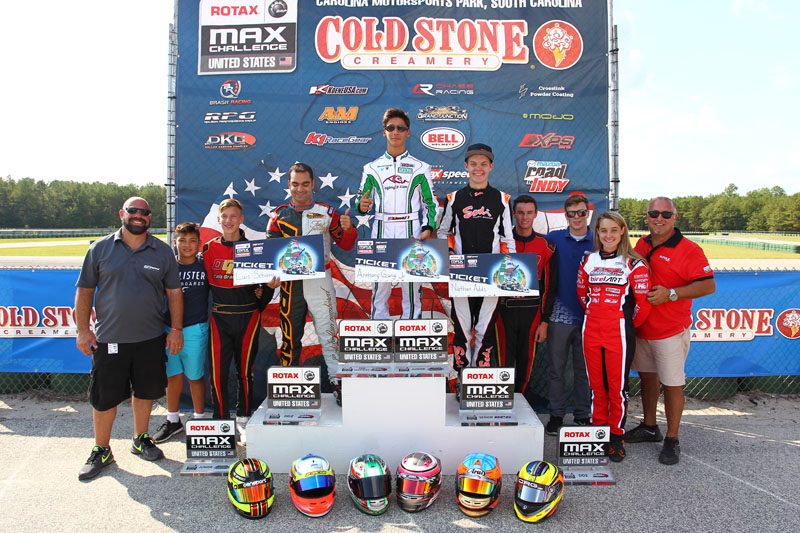 After completing a near perfect weekend at the Rotax Summer Shootout, in preparation for the Nationals event, Gangi Jr. was deemed one to watch in the potent Junior MAX class at the Carolina Motorsports Park in Kershaw, South Carolina. 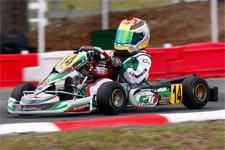 Proving his prowess from the get-go, the top karting talent claimed second quick in Friday’s qualifying session, a scant 0.027 seconds off the pole time. 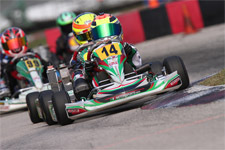 Advancing to the Super Pole session, which saw the top-six from qualifying complete a green, white, checkers run for the pole for the three heat races, Gangi Jr. was able to take the top spot over two and a half tenths clear of his competition. 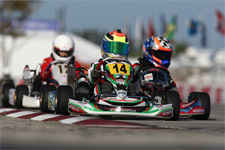 Saturday’s wheel-to-wheel action saw Gangi Jr. take the first two heat wins in convincing style. Also finishing the third heat in the first position, a ten second penalty for a driving infraction relegated the Brookville, New York resident back to 12th. With the heat points calculated, Gangi Jr. would start Championship Sunday’s prefinal from the inside of row two in third. With it all coming down to the final day of competition, and everything on the line, Gangi Jr. was able to move up one place in the prefinal to finish in the second position. 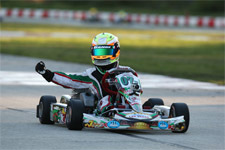 A wild final race would then ensue, with the GT7/Tony Kart driver making his bid for the lead on multiple laps, finally making it stick to take the win, the Grand National title, and punching his ticket to the RMCGF where he will compete with Team USA on the world stage this November in Portimao, Portugal. Anthony Gangi Jr. would like to thank tuners/driving coaches Mike Doty and Matsurra Masanori, Chad Brackens of Race Data Dynamics for all the data support, a special thanks to Daniel Lambert (Disco Dan) for the always-great power not just for this Grand National win but for ALL THREE!! !, as well as sponsors GT7 Motorsports, Millwork Solutions, Hole Shot Drive Systems, and Hot Head Engine Preheaters.